Back in 1930, when construction of Boulder Dam became a reality in Nevada and the construction of what later became Hoover Dam, many residents were not happy with the construction, but Clark County became a booming town helping the economy of Las Vegas to the point that later became the Entertainment and Gaming Capital of the World changing our future forever. Many years later Senator Harry Reid, now retired, has been a strong opposition of the Yucca Mountain Repository and for years has used the issue as a political advantage for him. Prior to 1987, and as required under the NWPA, the Department of Energy had selected ten locations in six states for consideration as potential repository sites. After detailed studies of these sites, President Ronald Reagan approved three sites for detailed site characterization. The three sites were Hanford, Washington; Deaf Smith County, Texas; and Yucca Mountain, Nevada. In 1987 Congress amended the NWPA and directed DOE to study only Yucca Mountain. Recently it was uncovered that federal officials have secretly shipped weapons-grade plutonium from South Carolina to a nuclear security site in Nevada months ago despite the state’s protests, according to an Associated Press story. 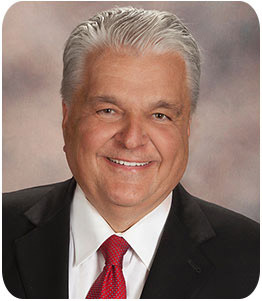 Nevada Gov. Steve Sisolak said he’s “beyond outraged by this completely unacceptable deception.” He announced at a hastily called news conference in Carson City late Wednesday the state is now seeking another court order to block any more shipments of plutonium as it pursues “any and all legal remedies,” including contempt of court orders against the federal government said the newly elected Governor of our state. While we believe that the Yucca Mountain Repository could be an asset to the economy of Nevada and in particular to Las Vegas, we applaud Governor Sisolak’s outraged position when he learned of the tricky government behavior. What we do not understand is why the newly elected governor of Nevada can be surprised with the government’s sneaky behavior when his years in government could have given him the knowledge of how government people operate. There’s nothing outrageous about the government’s modus operandi; it is more like normal behavior, but there is always a bad taste in one’s mouth when someone makes others look inept, inexperienced, or stabs them in the back. The government has been allowed to lie one too many times and now it seems to be a political asset when a politician learns how to lie and gets used to lying every time he or she opens their mouth. We appreciate Governor Sisolak getting upset for being lied to because we believe that a lie is not only what comes out of our mouth but on many occasions, such as in this case, it is also what we do not say, what we hide, and what we do not admit to. Governor Sisolak has the right to be angry, he has good reasons to be “beyond outraged by this completely unacceptable deception” but this may be a taste of his own medicine, and it could be a lesson to learn, but for whatever is worth and for the record we applaud Governor Sisolak position. As a matter of disclosure, the Las Vegas Tribune did not support or endorse Steve Sisolak for governor and nothing will make us happier than finding a way to, or a reason for criticizing his position when it is time to do so, but that is not going to stop us from complimenting or applauding his actions when it merits or deserves it.